We always enjoy our trip to Darwin in the "north-end" for the Hidden Valley round. The temps are always in the mid-30s, so a welcome change to wearing the jackets and beanies at Phillip Island and Sandown recently! 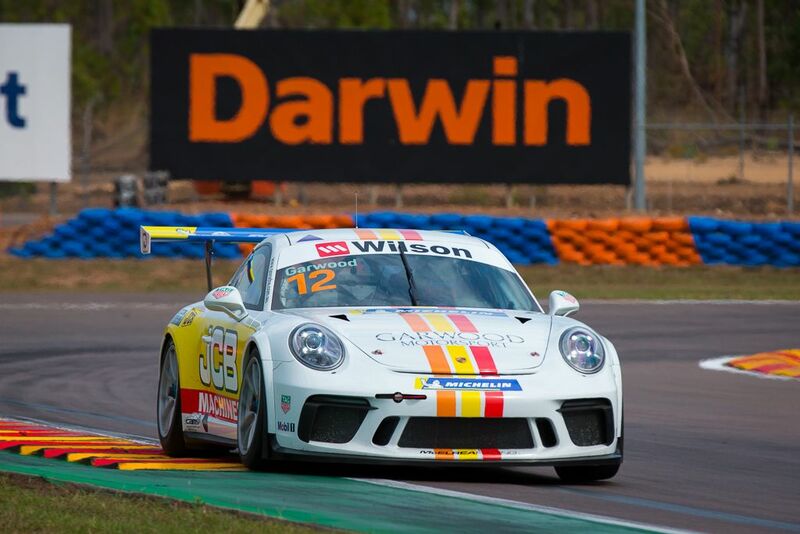 Jaxon had his first Carrera Cup win there last season and Tim was on the podium, so we have fond memories of the Northern Territory. Jaxon qualified 5th, but a lap time seven-hundredths of a second quicker (less time than it takes to blink...) would have put him on the front row. He got a good start from row 3 in race 1 and ended the first lap in 3rd place. He pressured McBride into a small mistake on lap 3 and finished a very well deserved 2nd. 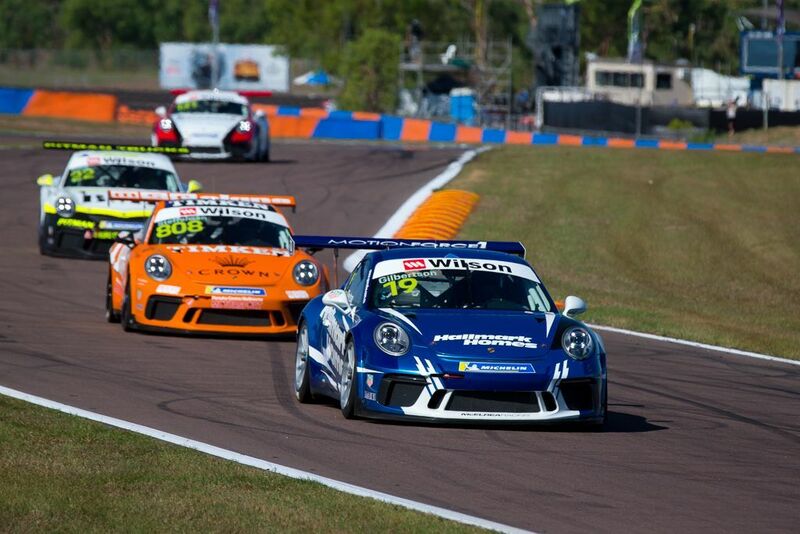 In race 2 he had a good start and made the most of Wall stalling on pole to lead the race. 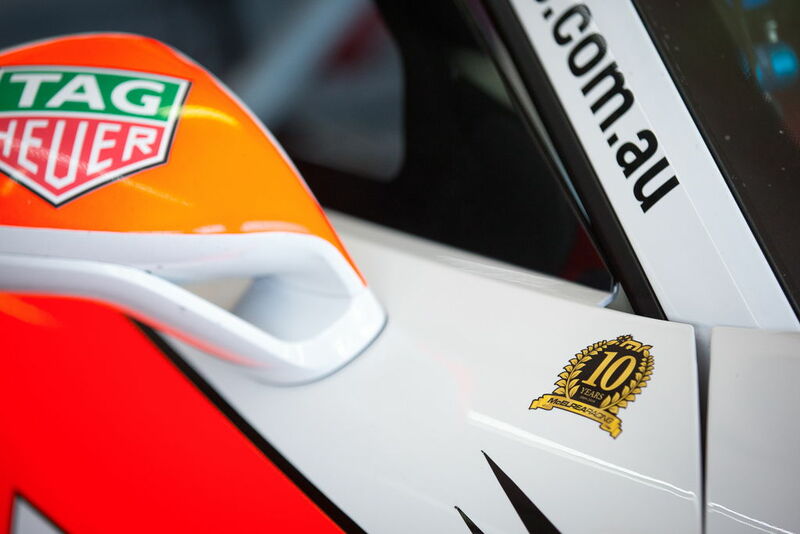 After two long safety car periods, he won the one-lap sprint to the finish to take his first win of the weekend. 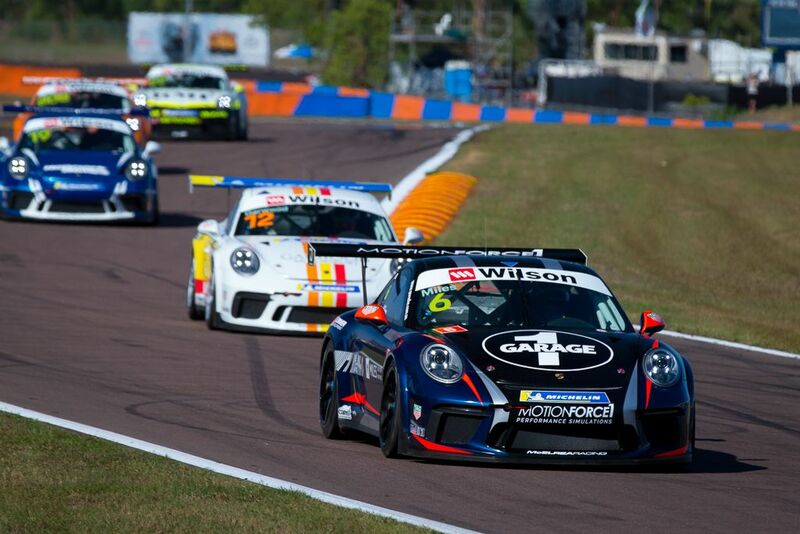 After a very robust first lap of race 3, Jaxon had been demoted to 4th before recovering to 3rd. After a safety car late in the race Jaxon was in 2nd and made a move for the win, but ran wide and dropped down the field. 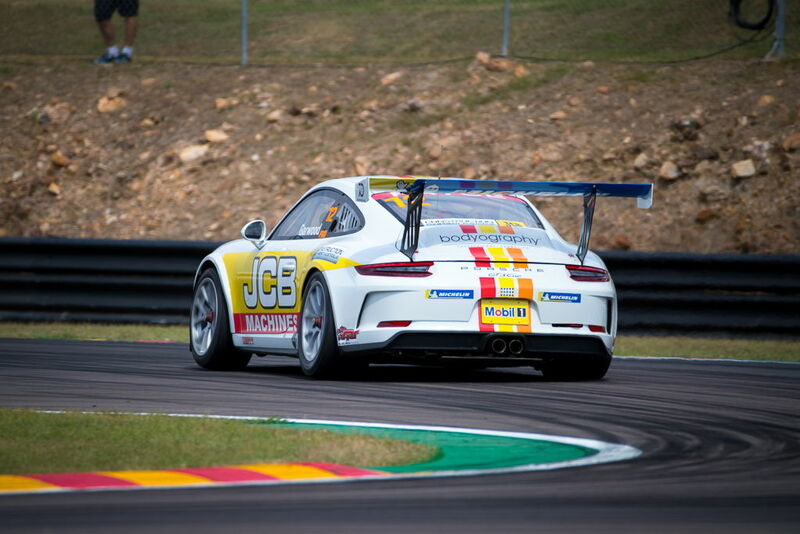 After another minor excursion he ended up 10th in Pro class, the only consolation being the owner of the new Carrera Cup lap record. Adam qualified 12th in Pro class. 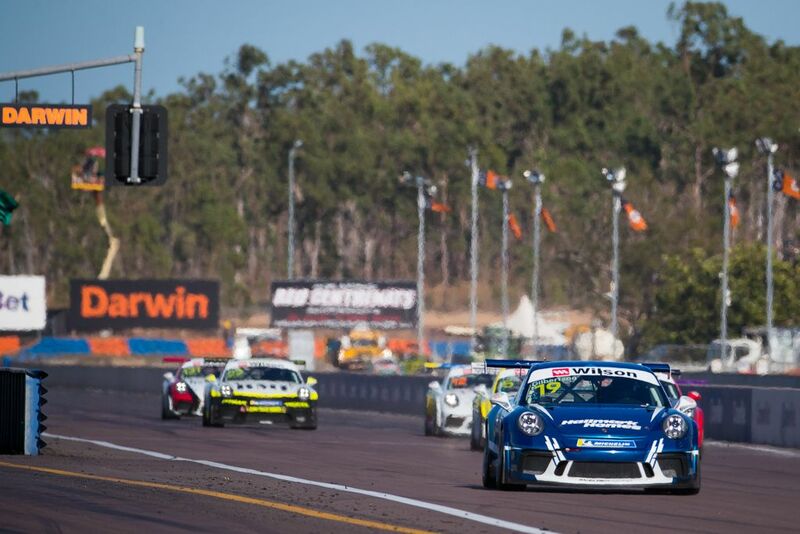 In race 1 he had a good dice with teammate Anthony Gilbertson and Josh Hunt. On lap 15 of the 18 lap race, he passed fellow Pro driver Peter Major to finish 12th in Pro. 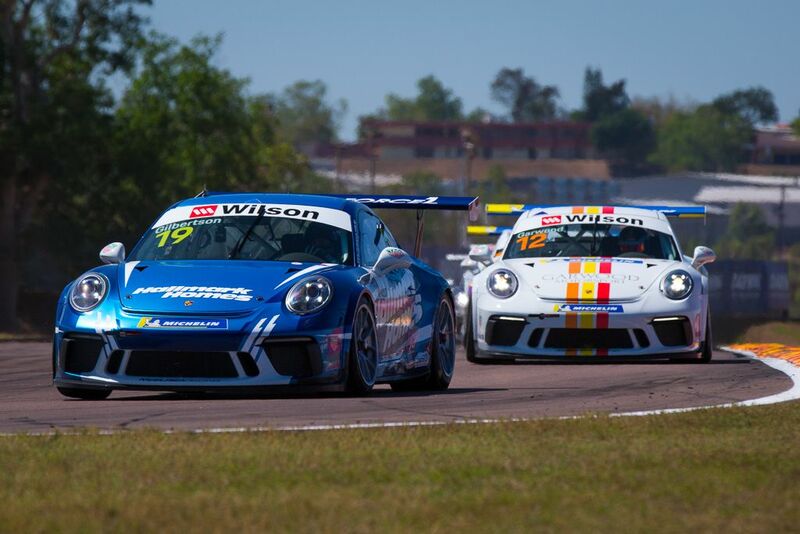 In race 2, he started from grid 17 and while a very short race in terms of race laps, he kept out of trouble and other drivers accidents to finish 9th in Pro class. 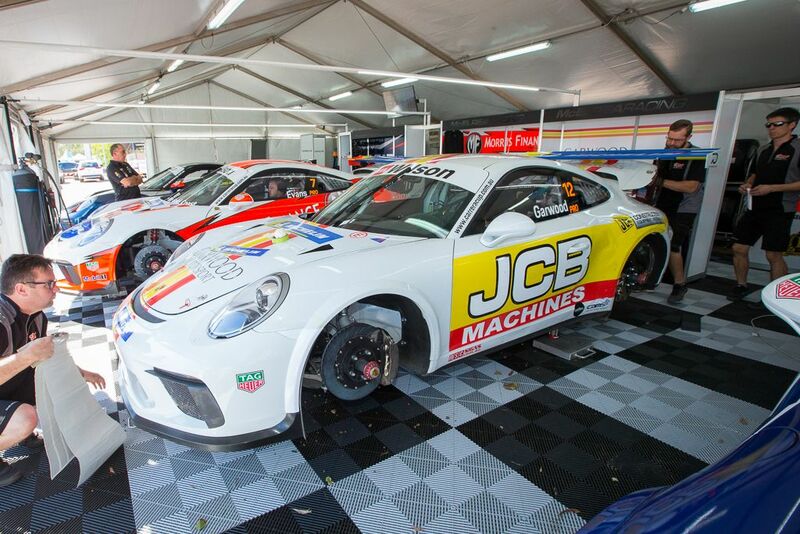 He started race 3 from grid 18 and was highly motivated to move forward and finish the weekend on a positive note. He certainly achieved that despite putting a slight flat spot on his LF tyre early in the race making a pass which compromised his braking for the rest of the 35-lap race. 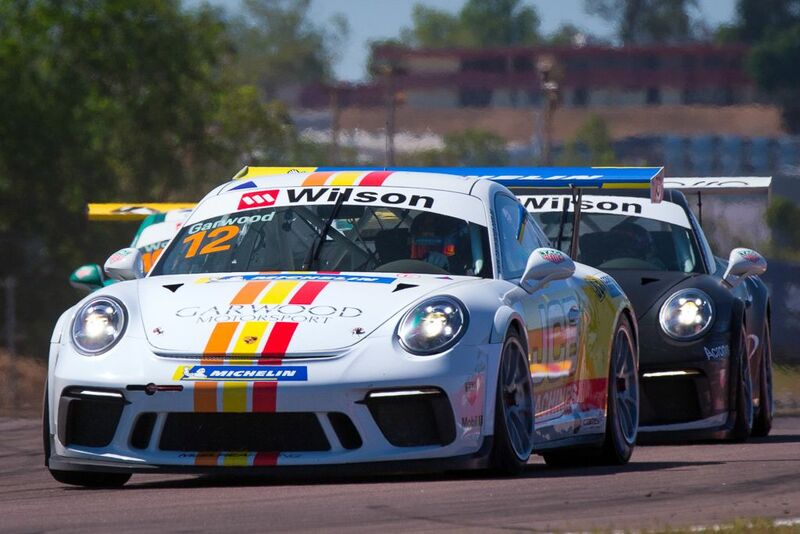 Despite that handicap, he raced really well, making passes on the front-running (ABS equipped) Pro-Am drivers. Tim qualified 5th in Pro-Am and started from grid 17. He had another one of his cracker starts and ended the first lap two spots closer to the front. He had a terrific race battling with Pro driver Peter Major and Pro-Am frontrunner Roger Lago to finish 4th in the Pro-Am class. 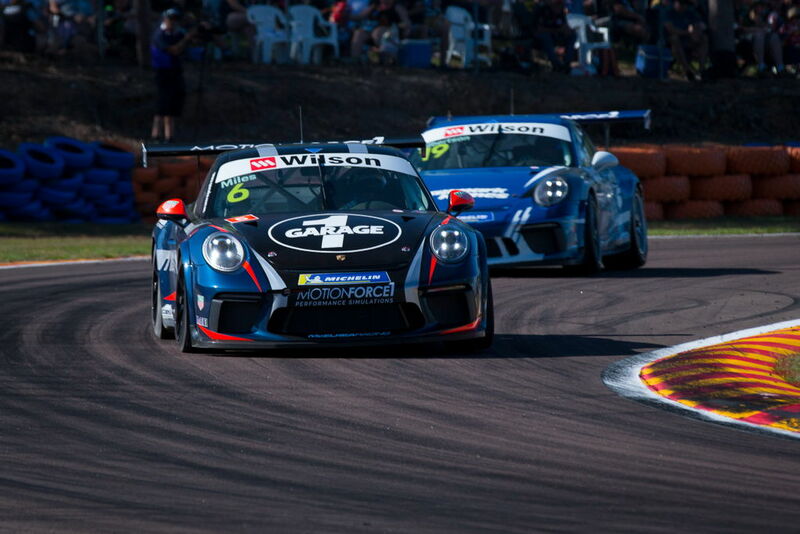 In race 2 he sustained some damage being hit from behind at the first restart but survived the carnage to finish 3rd in Pro-Am. He started race 3 from grid 9, had a good start getting himself amongst the Pro drivers on the first lap and not getting a lot of love in return! 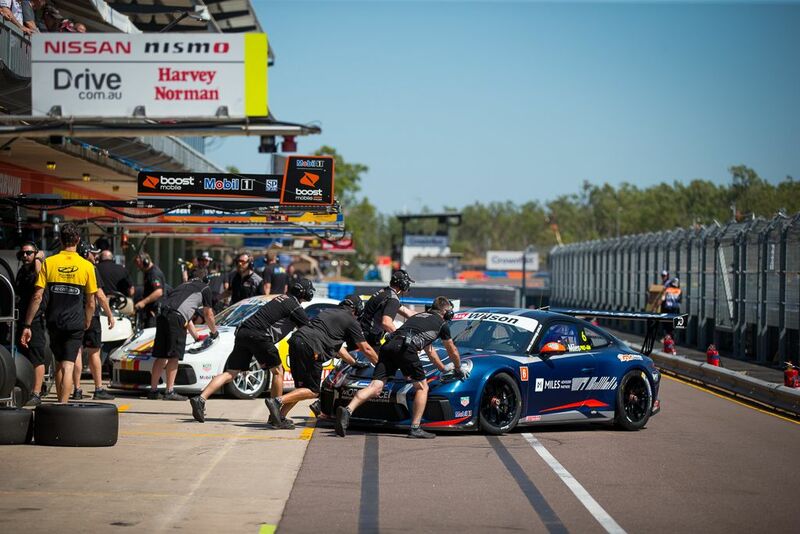 He raced inside the top-10 outright and found himself with a gap ahead and behind and was looking for a nice calm run to the finish until the late safety car bunched the field up and he had to fend-off teammates Gilbo and Adam. His 2nd place cemented his podium position. 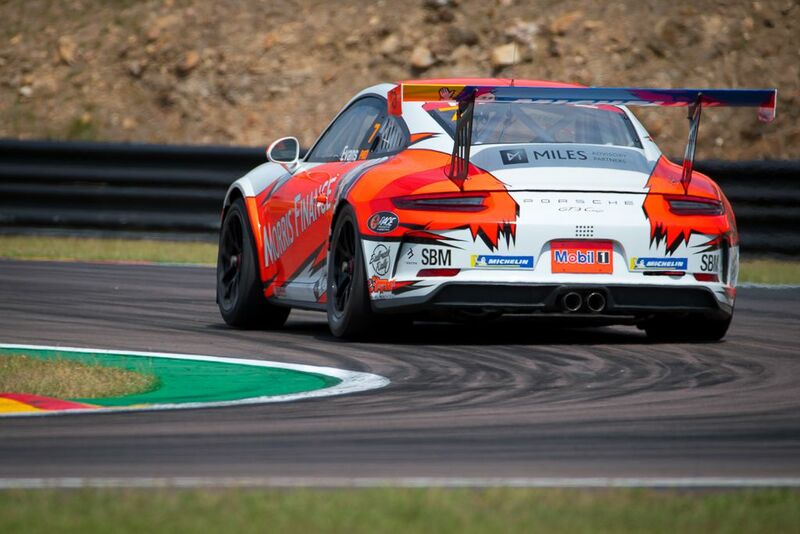 Had Gilbo managed to finish his blistering qualifying lap he would have been comfortably on Pro-Am pole and quite possibly in the top 6 among the Pros! Unfortunately, he ended up in the gravel trap giving the awesome MR crew a bit of extra work to be ready for race 1, just two hours later. 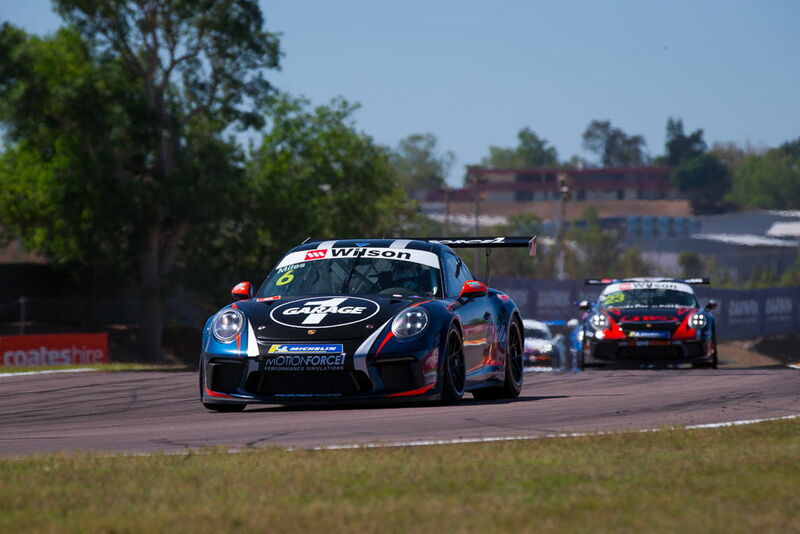 He wisely took a couple of laps to ensure the car was handling properly then had a pretty quiet race 1 focusing on consistency rather than outright pace. 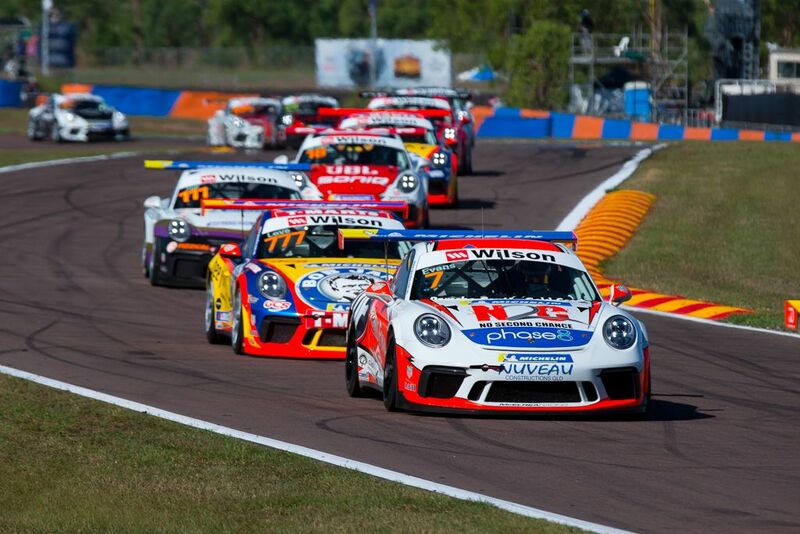 In race 2 he started from grid 15 and ended up 13th outright after the one lap dash to the finish. He started race 3 from grid 12 and had a great dice with teammates Tim, then Adam as well as a lengthy stoush with a very defensive Roger Lago, eventually prevailing. He did a great job to finish 3rd in Pro-Am and 10th outright. 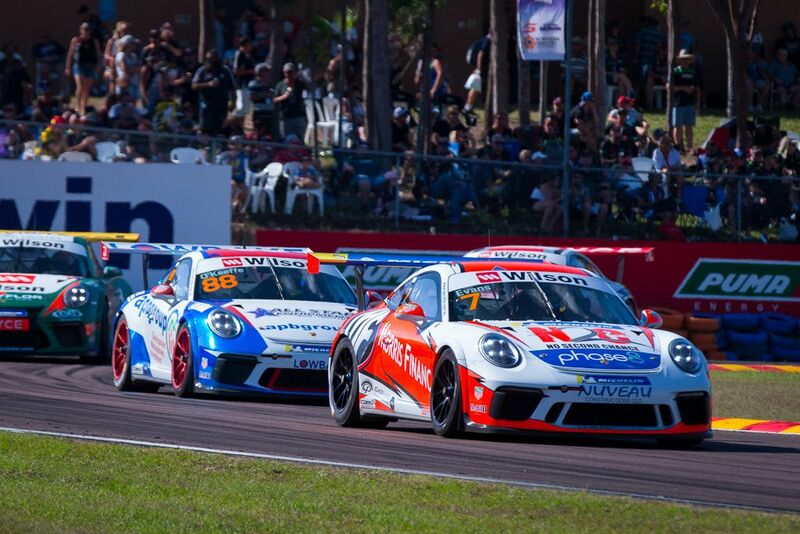 Obviously, it was great to get Jaxon and Tim on the Pro and Pro-Am podiums, Jaxon breaking the Hidden Valley Carrera Cup lap record was also a highlight. If only Anthony had finished his outrageously quick qualifying lap his weekend would surely have been much different and highly likely to have included a trophy. 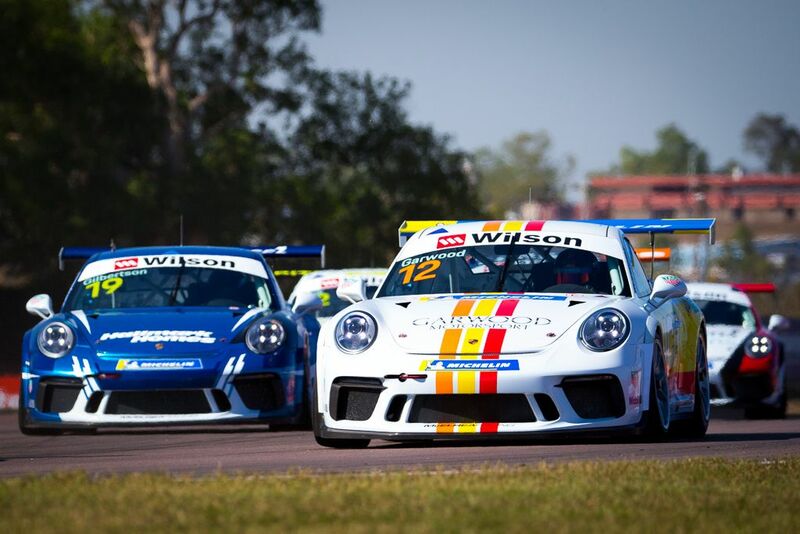 It was great to get our first race meeting with Adam under our belt and he learned plenty about how to drive these Porsche GT3s the way we set them up. Jaxon has extended his championship lead at the halfway point of the season. 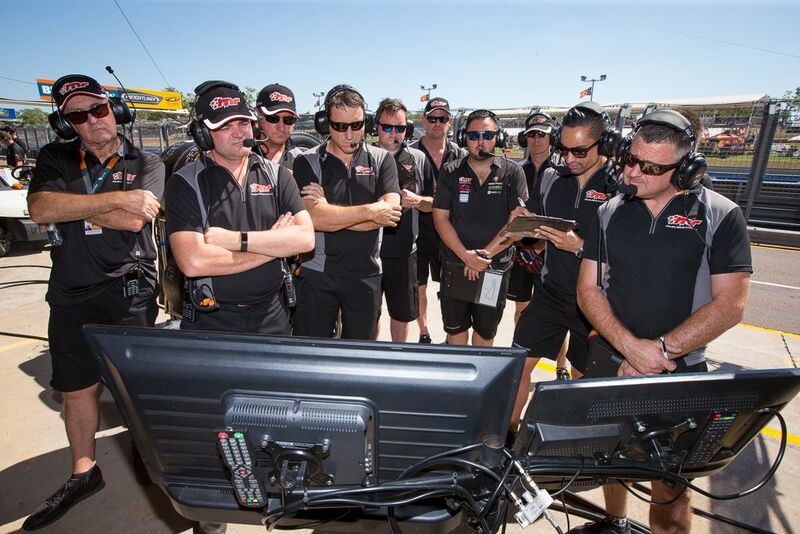 We will be testing at Tailem Bend in a few weeks, then Sydney Motorsport Park before the next round at SMP in late July. We hope to see you there!